Elon Musk offered a forecast about his reusable Falcon 9 rocket on Friday, saying he was “fairly confident” that SpaceX could reuse the whole thing by the end of 2018. This ambitious claim comes right on the heels of SpaceX’s historic achievement: On March 30, SpaceX reused a Falcon 9 first stage rocket booster to launch a satellite. This was the first time a previously used rocket had completed a space mission. “Next goal is reflight within 24 hours,” he wrote. On Friday, he took these lofty aspirations a step further and said that the rocket fairings should be reusable this year, and the upper stage by late next year. If SpaceX can continue to reuse first stages like it did on March 30 and add these other major components to the roster of reusable parts, it will come much closer to its goal of operating like a space railroad. @chairheadMD @cheron Fairing is ~$5M, but that should be reusable this year. Am fairly confident we can reuse upper stage too by late next year to get to 100%. The fairing, the cylindrical nosecone of the rocket that protects the payload from the aerodynamic stress and heat of the launch, gets jettisoned once the rocket leaves orbit. The pieces typically fall into the ocean after being jettisoned. This rocket hardware may look like a simple piece of bodywork, but it’s crucial to keeping satellites safe during launch and pre-launch procedures. 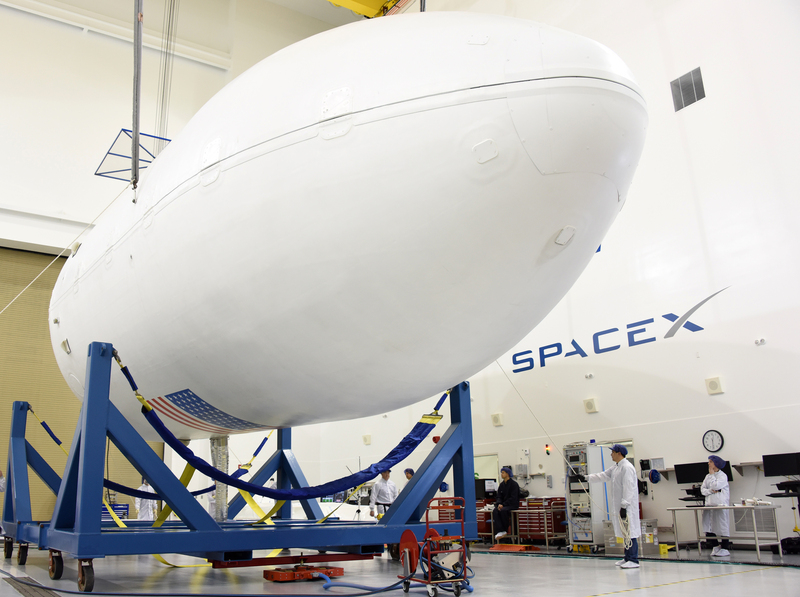 As such, it comes as little surprise that Musk reports the fairing costs around $5 million. And since SpaceX aims to reuse rockets in order to bring the costs of spaceflight down, it makes total sense that this expensive component would be at the top of the list of components to salvage for future flights. Upper stage rockets, too, get jettisoned outside the Earth’s atmosphere. Musk didn’t give an estimate for their cost, but it’s probably more than the fairing. Typically an upper stage is either left in orbit to decay and fall to Earth on its own, or if enough fuel remains in the upper stage after it’s jettisoned, it can employ a de-orbit burn to bring it back down. So far, SpaceX has generally let the Falcon 9 upper stage rockets fall into the ocean. If SpaceX can meet its goal of reusing all Falcon 9 rocket components by the end of 2018, it will reduce the cost of each spaceflight by millions of dollars, leaving fuel — which costs $200,000 to $300,000 per mission — as the major equipment cost.